The art of quality lead-work is something to be appreciated and at Westoaks we are able to undertake all types of work from gutters, flashings and right through to lead pipework if required. The traditional skill of "bossing & dressing " (seen here using dressing tools which are themselves over 100 years old) has to be carried out with great patience and first hand experience of the properties of the material. Some of the more intricate lead work involves the use of welding skills. 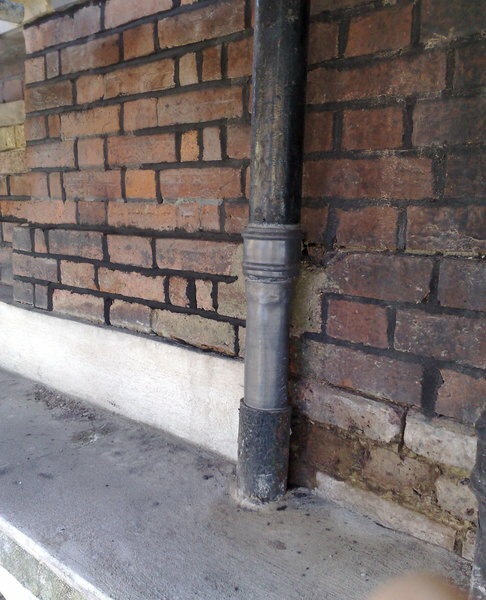 Here we can see an adaption repair to cast iron in lead pipework for a discharge pipe. This type of repair is often required when dealing with the conservation of historical elements of a property.